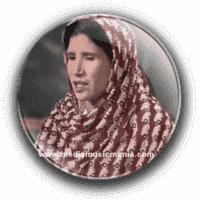 Zarsanga Pashto Old Classical Music Singer. She was born on 1946 at Zafar Mamakhel, a small village of Lakki Marwat. She belongs to a nomadic tribe called Kutanree Kutan. They are not settle permanently in one place, their main profession is singing. She is legendary Pashto Music Artist, from Khyber Pakhtunkhwa and she create great name in Pakistan Music and Afghan Pashto Music. She is widely known as "The Queen Of Pashtun Music" she is the singer of legends Folk Music, Old Classical Mousiqui of Pashto. She is singer of travelling route through Bannu Road from Dera Ismail Khan and up to Kohat and Peshawar. She travel as far as Afghanistan and stay there in Summer and return to Lakki Marwat during the winter season. She married in 1965, and she has four daughters and two sons, her one son Shahzada,has stepped into the world of music. Zarsanga, never misses at any musical event she plays are "Da Bangriwal Pa Choli Ma Za" her first ever song on Radio, she sung in Germany, Belgium, Iraq, Dubai, America, France and UK and has enthralled thousands of Pakhtuns and local people with her voice. Tappa is the most settled and most surely understood sort of the Pashto verse and Pashto Music Audio. She was great Artist and master in Tappa is a formation of two unequal meters, in which the essential line is shorter than the succeeding one, yet it reflects each and every human inclination and desires luxuriously. Be it specialists, workers, or women all suppositions find verbalization in the Tappa Pashto Hit Songs. It is also ordinary among the Pashtuns that a child of school would sing it, the seniors in their hujrahs, the women in their home and Godar alike. I have selected most popular Music of Legendary Singer Zarsanga.